Terrorist deliberately targets leading advocate for Jewish Temple Mount rights, leaving Glick seriously injured. Yehuda Gilck, a leading advocate for Jewish rights on the Temple Mount, has been very seriously wounded after being shot in Jerusalem on Wednesday night, Arutz Sheva has learned. Glick was shot outside the Begin Heritage center in the capital, witnesses said, after a terrorist pulled up in a scooter or motorcycle and shot him before fleeing the scene. The Begin Center had been hosting an event to help in efforts to re-establish a greater Jewish presence on the Mount Wednesday night, just before the activist was shot. He has been rushed to Sha'arei Tzedek Medical Center for immediate medical treatment. Magen David Adom (MDA) spokesman Zaki Heller said that Glick was shot in the upper body no fewer than three times and paramedics had barely had time to speak to him during the initial stages of treatment. Activists have asked that prayers be said for the urgent recovery of Yehuda Yehoshua ben Rivka Ita Breindel. 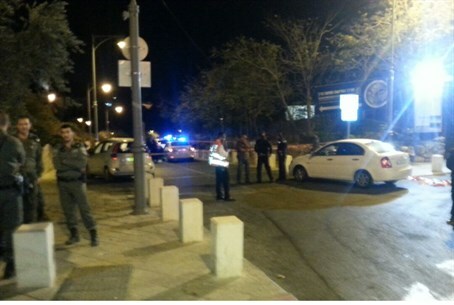 Jerusalem Mayor Nir Barkat, and MK Moshe Feiglin (Likud) are currently at the scene. The Temple Mount is Judaism's holiest site, but under pressure from Islamist groups including the Jordanian-run Waqf Islamic trust, Jews are forbidden to worship there under pain of arrest. Glick has been an ardent opponent of the current status-quo on the Mount, which Jewish groups have condemned as discriminatory. Numerous Israeli court decisions have backed their claims - only for police to invoke "security concerns" as a way of circumventing the courts and maintaining a blanket ban on Jewish worship there. Much of the recent Arab violence in Jerusalem has centered around the Temple Mount, with Islamist and Palestinian Authority leaders branding Jewish visitors to the site as "invaders" and "settlers", and Muslim worshippers harassing and even physically attacking them. Islamist rioters have also been frequently clashing with Israeli police at the site. Palestinian Authority president Mahmoud Abbas recently made a public effort to fan the flames of violence, urging Palestinians to prevent Jews from visiting the Temple Mount using "all means" necessary. Abbas's comments have been replayed well over a dozen times on official PA TV - part of what appears to be a calculated campaign to incite more violence in the capital.